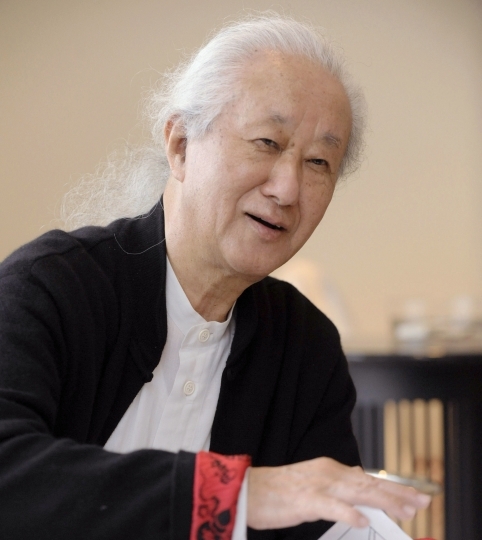 TOKYO — Japanese architect Arata Isozaki, credited with bringing together the East and West in his innovative designs, has been awarded this year's Pritzker Architecture Prize, known internationally as the highest honor in the field. The 2019 prize was announced Tuesday by the jury of the Hyatt Foundation. Founded in 1979, the prize honors each year a living architect or architects whose work demonstrates talent and vision, as well as a contribution to humanity. Isozaki is the eighth Japanese laureate, including Kenzo Tange, under whose apprenticeship Isozaki began his career after graduating from the prestigious University of Tokyo. Tange won the prize in 1987. 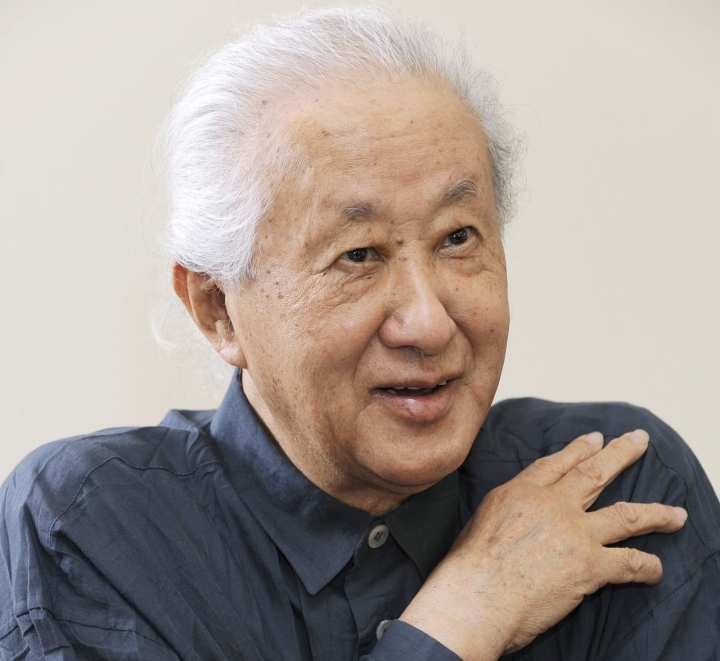 Isozaki, 87, was one of the first Japanese architects to build outside the country, and has been praised over his five-decade career for making a statement that transcends national boundaries through buildings that are simple in design, but also appear to redefine the feelings of space in people's surroundings. Tom Pritzker, chairman of the Hyatt Foundation, called Isozaki's architecture "truly international." "In a global world, architecture needs that communication," he said. Isozaki's first international commission was the Museum of Contemporary Art in Los Angeles, which he worked on from 1981 through 1986. Isozaki said he was inspired by the red sandstone buildings of India. Born on Japan's southwestern island of Kyushu, Isozaki says the destruction of World War II left a lasting impression while he was growing up, and helped him become an architect. "I grew up on ground zero," he said, referring to the atomic bombing of Hiroshima, which lies across the shore from his hometown of Oita, which burned down in the war. "It was in complete ruins, and there was no architecture, no buildings and not even a city," he said in remarks provided to the Associated Press by the foundation. "Only barracks and shelters surrounded me. So my first experience of architecture was the void of architecture, and I began to consider how people might rebuild their homes and cities." He also decided against sticking to any single style, partly because of the uncertainties he faced as Japan tried to rebuild from war. "Change became constant," he said. "Paradoxically, this came to be my own style." Among Isozaki's works are the Palau Sant Jordi in Barcelona for the 1992 Olympics, the Shenzen Cultural Center in China and the Allianz Tower in Milan. 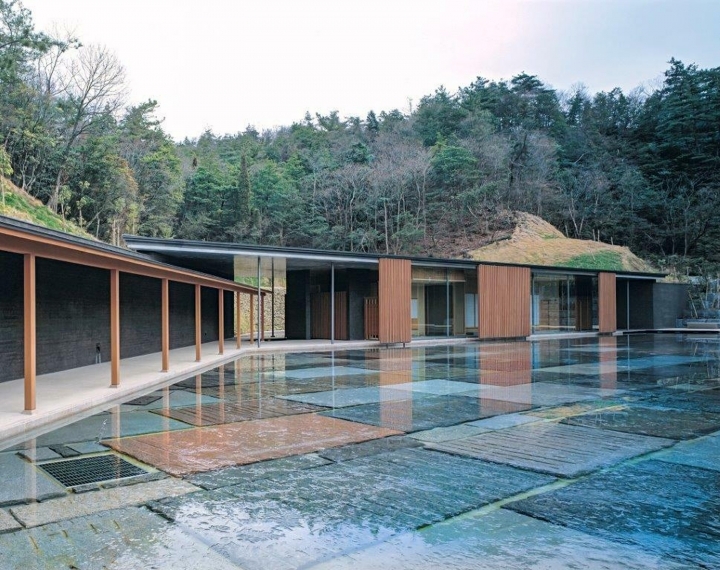 His buildings are also found all over Japan, including museums and community centers in Kyushu, Osaka and Tokyo. The 2019 Jury Citation said Isozaki's architecture defied categorization as it was always evolving. Isozaki is now based in Japan's southwestern region of Okinawa but also runs offices in China, Italy and Spain. He has taught at Columbia University, Harvard and Yale. His works also include philosophy, visual art, film and theater. 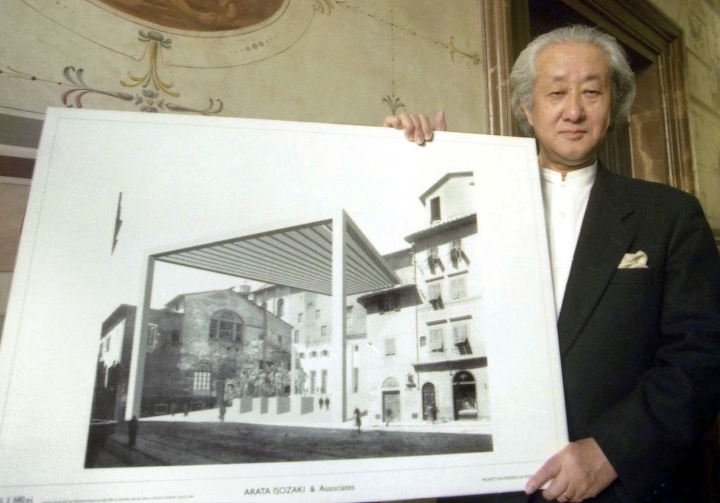 Isozaki will be awarded the prize in a May ceremony at the Chateau de Versailles in France. This story has been corrected to say Isozaki is the eighth Japanese laureate, not ninth.